Whenever you hear the word barbeque, what comes to mind? The great smell of charred beef in the air, loud untamed laughter, and the unbeatable taste of a freshly flame grilled steak on a warm afternoon. When it comes to the quality of the grilled meat, people normally focus on the main barbeque grill and forget that there are several supporting pieces of equipment that make it easy to whip up the perfect steak. It doesn’t matter if you have the best Barbeque in Sydney, because without the right supporting tools, you will end up either burning either your fingers or the food. Here are a few accessories all bbq owners should have. Have you ever found yourself rummaging about the bushes to find a stick, slender and firm enough to work as a poker for your fire? It is particularly annoying if the stick you choose catches fire when you need it the most. Preparing in advance and carrying a comprehensive fire tool set can save you a lot of time and embarrassment. In fact, when you show up with your well polished five-piece barbeque fire toolset, you may have everyone thinking you are an expert. A collection containing a brush and shovel as well as a poker will have all your bases covered as you maneuver the Beefeater BBQ. 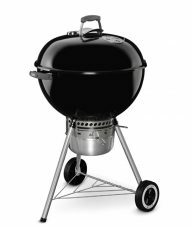 As a handyman on the job, it is advisable to find yourself a comprehensive Grill Tool Set. These come equipped with tongs, Spatula, a grill brush, a fork and skewers. With this toolset, you can barbeque anything comfortably. One of the most versatile tools in the grill tool set is the pair of tongs. It is especially beneficial to get a pair of long-handled tongs. Unlike forks, long handed tongs give you the flexibility you need to grip and turn over any size of steak without getting to close to the flames. With everyone working to reduce their exposure to harmful chemicals, it is wise to use a chimney starter rather than the lighter fluid to get your fire going. The chimney or fire starter uses a few papers to light up a handful of coals which you can add to your grill to start the fire. The lighter fluid has been said to infuse the coals and your meat with undesirable chemicals and flavours. There is a wide variety of BBQ accessories in the market. If you can learn about the options available, you can begin your collection and start adding value to your barbeque experience right away. Some online stores can deliver the accessories you are interested to your doorstep. Nevertheless, it is always a good idea to go down to the store in person and have a feel of the barbeque accessories you want to buy, you might see a bunch of items that you need and did not think of buying beforehand. 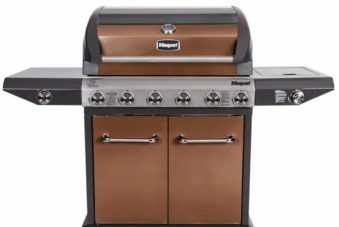 For all your bbq needs, call Hawkesbury Heating today on (02) 4571 2295. Gas Heaters and Pizza Ovens. Based in Sydney's stunning Hawkesbury region. 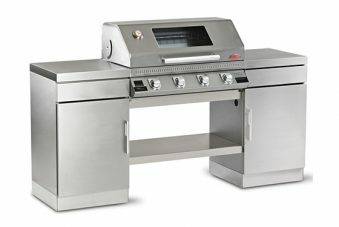 We are specialists in BBQ's, Wood and Gas Heaters and Pizza Ovens. Over 25 years experience and one of the largest BBQ showrooms in Sydney.